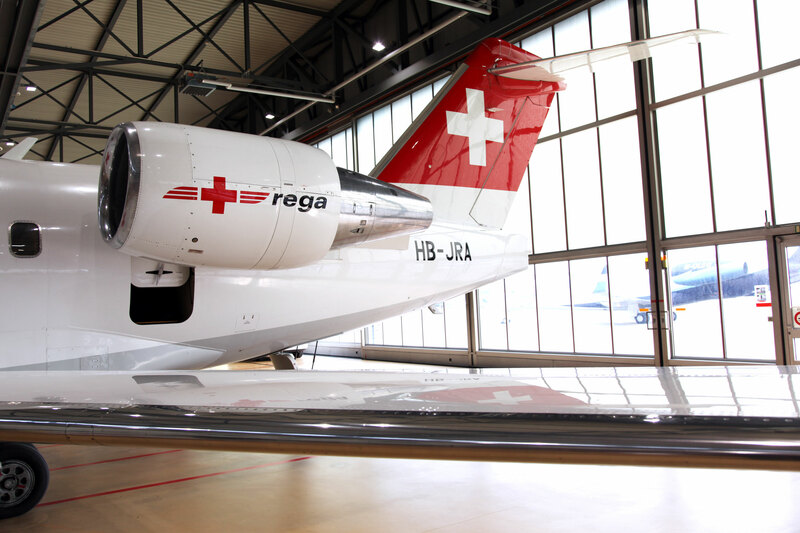 The Swiss air rescue Rega is an icon. 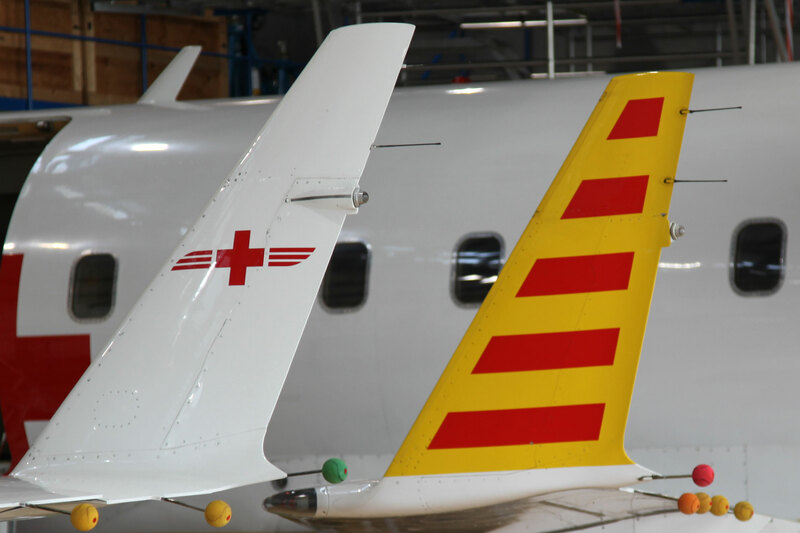 All over the world the ambulance jets with the Swiss Cross on the fin are respected and known for reliability and best medical standards. 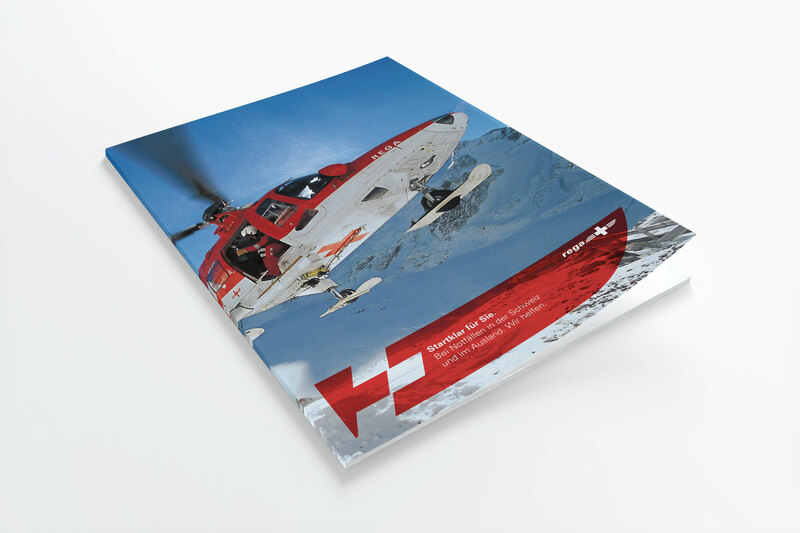 In inland Switzerland the Rega Helicopters which perform search and rescue operations in highly challenging conditions are an brandmark themselves and highly appreciated by the Swiss public. The strategic question was how to deal with the Rega brand on the two most important touchpoint to bring them both closer together in design while differentiating their tasks. The helicopters for emergency search and rescue operations kept the white so called Dynamic Cross. 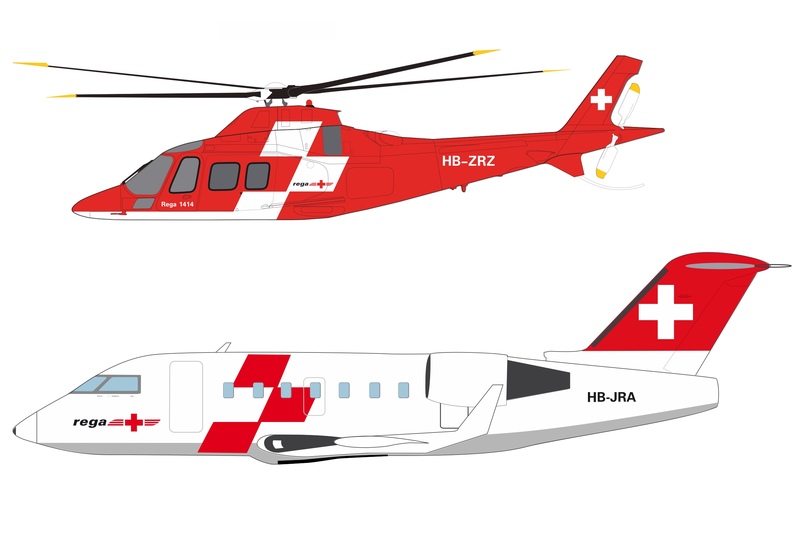 The ambulance jets acting as a flying hospital became white with the Dynamic Cross in red. Based on the characteristic Rega wing in the logotype a consistent design system for both online and printed media was developed additionally.